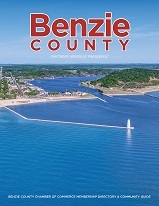 No matter what your interests, Benzie County has something for everyone! You can enjoy spectacular scenery, lighthouses like Point Betsie, local art, historical sites and so much more. Smell the fresh air of Pure Northern Michigan, enjoy the woods and lakes, taste the local dishes, desserts, and wines all bursting with flavor. Feel the sand between your toes, the water as you play in our lakes, the snow crunching under your boots, and the nature that encompasses you as you saunter through our parks. Benzie boasts miles of Lake Michigan coastline, 57 inland lakes, and the southern portion of the Sleeping Bear Dunes National Lakeshore. There are eight challenging golf courses, numerous biking and hiking trails, including the Betsie Valley Trail, 135 miles of groomed snowmobile trails, and breathtaking fall color. The 80 to 100 plus inches of snow fall draws people to Crystal Mountain with its cross county ski trails and its 58 downhill slopes along with their wonderful Michigan Legacy Art Park. Gentler outdoor activities include walking to view the masses of trillium among the trees in the spring, to spot other delicate wildflowers, birding, and to search for elusive morel mushrooms. The sprouting of new leaves in their new fresh greenery is a promise of the lush summer to come, followed by glorious fall color and sparkling snow in winter. In addition to the fabulous outdoor adventures, you can find an adventure of a mysterious kind too! Take a drive out to Benzie's own 'Gravity Hill', just a few miles southeast of Frankfort & Elberta. You can put your car in neutral on the downhill slope and your car will slowly roll, but it will roll backwards, uphill! These natural gravity hills are found in hilly locations where a distant horizon is not visible as a reference which produces the optical illusion that a gentle downhill slope is, infact, an uphill slope. This is a 'mystery' not to miss! Services and enriching cultural events in Benzie, people enjoy the simple abundance of the area, yet benefit from needed services and enriching cultural events. There is access to creature comforts such as cable TV, fine dining, Chicago style coffee shops with lattes and cappuccinos, good schools, and internet services. Other services, such as excellent medical care with a highly rated hospital, senior living centers, and a well-equipped fitness center with a range of classes and fitness programs add to the richness of life upnorth. Cultural activities include events sponsored by the Benzie Area Historical Society, and concerts presented by the Benzie Area Symphony Orchestra and the Benzie Community Chorus. Of special note is the opportunities to attend world-class performances at the nearby, internationally-recognized Interlochen Center for the Arts. But the closeness to nature, out-door recreation, and cultural activities doesn't fully answer why people choose to reside in Benzie County. People are drawn to Benzie County because of the pace of life, the focus on what's really important, the feeling of having something to care for, the feeling of being grounded. the 'back to basics' in the small towns and villages. In many ways the up-north experience is akin to a time long gone by. A time when congestion and gridlock were not a part of daily life, when parking one's car is not a challenge, a time when dogs can be walked at 11:00 p.m. by the light of the moon, and stars shine brightly. Neighbors greet each other as they make their daily stop at the post office; shop owners and bank tellers know their customers and greet them by name. The fourth of July parade, fireworks, festivals in all seasons are right out of a Norman Rockwell painting. Perhaps most astounding of all is that numbers of people marvel at the sunsets and spontaneously burst into applause as the 'performance' ends with the sun dipping beyond the horizon. 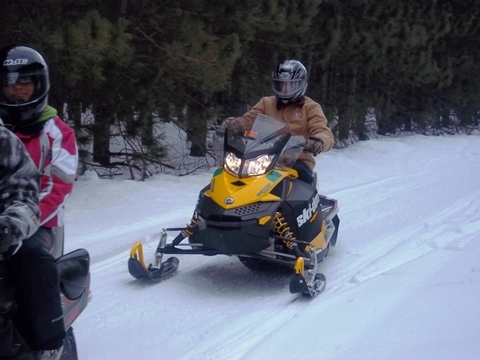 For these reasons and more, the northern lifestyle is embraced by those fortunate people who choose to live in Benzie. For those living in Benzie County, it comes as no suprise that national education leaders and researchers are rediscovering the value of smaller schools, the kind of schools that parents here have favored for decades, for many reasons. Both Benzie County Central Schools and Frankfort-Elberta Area Schools offer just that, with the average classroom size of 20 students. Both schools are also award winning placings of learning. For those students with a talent for the arts, you need look know further than the world famous Interlochen Center for the Arts offering arts education programs for students in grades 3-12 and adults of all ages. Interlochen also hosts hundreds of concerts and events and is home to two award-winning public radio stations. Higher Education opportunities are also not far away. Located in Traverse City is Northwestern Michigan Community College with unique partnerships with senior universities offering selected bachelor degree-completion, graduate and certificate programs.